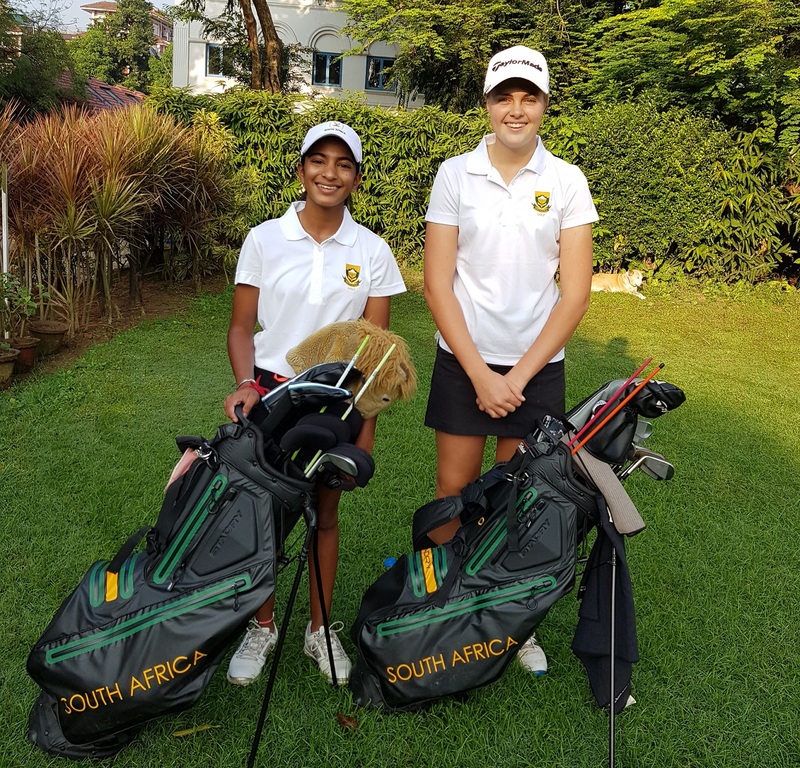 South African Youth Olympian Kaiyuree Moodley cracked the top 10 at the IGU West Bengal Ladies and Junior Girls Golf Championship, while GolfRSA Elite Squad member Kaylah Williams rallied for a top-16 finish in Tuesday’s first round in Kolkata, India. Moodley opened with 77 at the par-70 Tollygunge Club golf course to finish ninth overall. The 17-year-old Bryanston golfer is nine shots off the pace from local favourite Anika Varma, who was the only player to finish the first round of the 36-hole stroke play qualifier in red numbers. Williams from Bellville returned an 80 to grab a share of the five-way tie for 16th on 10 over. 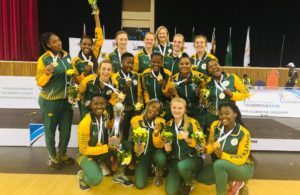 ‘I think it was a pretty tough day for everyone in the field, with the exception of Anika,’ said Women’s Golf South Africa president Sally Greasley. ‘This course is very tight with tall trees lining the fairways, and today the girls had some pretty tight pin positions. The course itself is not too long, but the par threes are a real challenge. The sixth hole measures 174 yards, the eighth 172 yards and the 18th, a fantastic finishing hole, is 196 yards from tee to green. ‘Williams followed a bogey start with a straight run of pars until she reached the eighth. Her drive came up just short of the right-hand bunker, but she was unsure of her chip. She only managed to move the ball three metres. ‘That was her downfall, because after par on nine and 10, she dropped 11 and had back-to-back double bogeys at 12 and 13. She birdied 15, but played the last three holes bogey, par and bogey and came off the course hugely disappointed,’ Greasley added. Moodley followed a par-par start with a double bogey at the third and back-to-back bogeys at four and five. ‘Kai turned five over, but had a string of pars on the back nine, and was delighted that she didn’t have a single three-putt all day,’ said Greasley. ‘Kai played with 14-year-old Anika, who leads the Indian Open Amateur Rankings, and had a lot of fun out there. ‘After play, both girls went to the driving range to work on various aspects of their games. Kaylah is hitting most of her drives right, which got her into a lot of trouble. 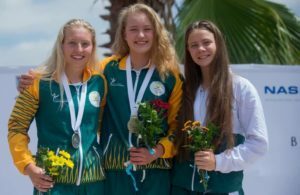 She’ll also have a chat with her coach, our GolfRSA Elite Squad assistant national coach Anna Franckel-Becker, and hopefully the wayward tee shots will be resolved. Photo: Moodley and Williams ahead of the first round of the IGU All India Ladies Amateur Championship in India, supplied by GolfRSA.